With a low APR and up to 1.5 percent cash back on every purchase, this modest credit union card is a great choice for cardholders who plan to carry a balance and want low-maintenance rewards at an affordable price. With unlimited 2.5-percent cash back on all purchases, the Alliant Visa Signature Card is made for those who want to put all of their credit card spend onto one card. The 1.5 rewards rate on the American Express Cash Magnet card is nothing special, but the introductory offer is a nice bit of extra pocket change. 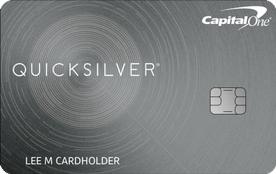 With a decent sign-up bonus, unlimited 1.5 percent cash back offer on every purchase and few restrictions on redemption, the Quicksilver Cash Rewards card offers a fair amount of value; but it doesn’t offer nearly as much cash back as other cards. If you don’t mind enrolling in and tracking a rotating group of bonus categories every quarter and tailoring your spending, you could potentially get a substantial amount of value out of this everyday cash back card. A great card for families and frequent shoppers, the Blue Cash Everyday card offers a generous amount of cash back on everyday purchases; but its high APR cuts into its overall value. 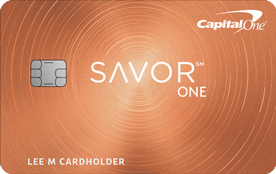 A good card for foodies and commuters, the Discover it chrome credit card features an outstanding sign-up bonus that matches your rewards at the end of the year and a solid bonus on restaurant and gas purchases. 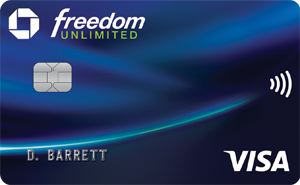 The Chase Freedom Unlimited card offers a good sign-up bonus and a flat 1.5 percent cash back rate on general purchases for cardholders who want to keep things simple, plus it’s a great starter card for collecting Chase Ultimate Rewards.